And here they are my new program for this blog! Okay, this is my first post about beauty product, my first experience, please understand, for the first time, may be a better for the future. 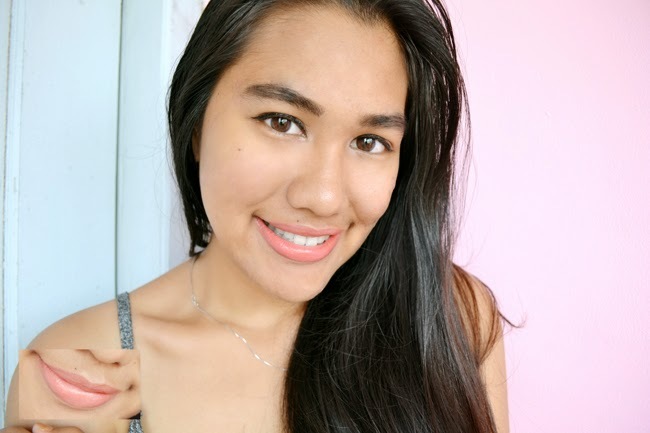 Lately, I kinda addicted to lipstick just like NYX, Chanel Rouge Allure Velvet Ladiva, Melted, Wet & Wild Megalast also Lime Crime but I heard some bad news about Lime Crime and their CEO. So, my auntie (make up enthusiast but not a MUA) told me if I want to know what is the different between good and standard product I must try the standard first and then the good or premium one. So, my first guinea pig felt to Silky Girl products. I think this product is relatively inexpensive and affordable, as well as having the colors of velvet which is now the trend. But poor me, because too lazy to walk out for hunting straight to the location so I decided to do some online shopping for the lipstick. 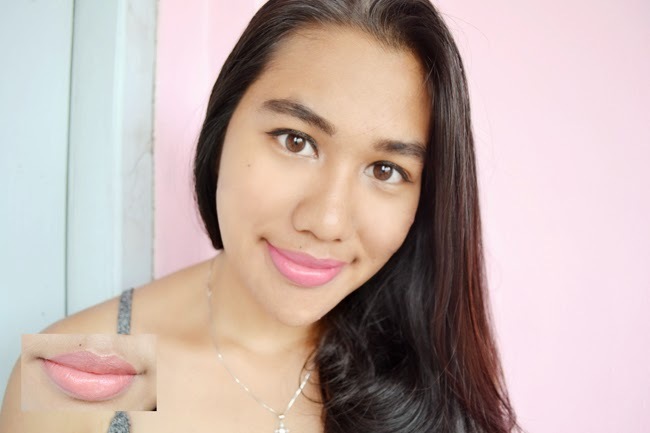 This is my first tips for all of my reader, do not buy online for lipstick product because the lipstick color and the real product can be very different. My first picture of their lipstick is 09 Sugar Plum, from the website that I see the actual color of this lipstick is purple but the real come with dark pink, in fact I've felt strange since the caption shown PLUM but purple on their display, so I guess maybe it's just only the wrong caption and ta-daa the result is wrong color display! 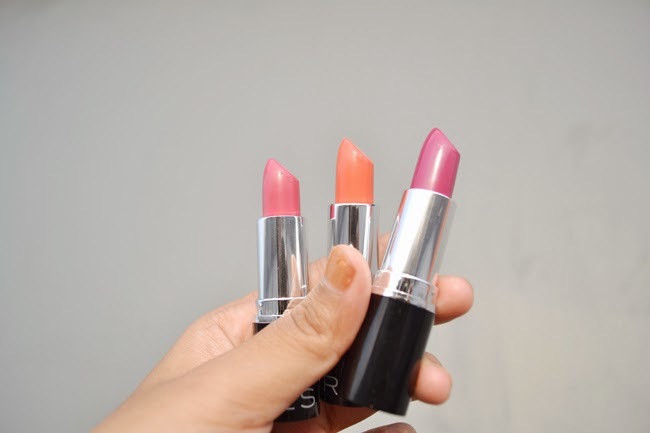 The second one is 04 Apricot, I really like this color because it is very natural, initially I thought it would be very pale when I use it, but the result is very good. Third, 03 Berry, error display again because I ordered the solid red color but that comes in pink look like a peach. Since this is my first time so I don't wanna to be fooled again and convince myself not to buy a product like this lazy and go directly to the counter. 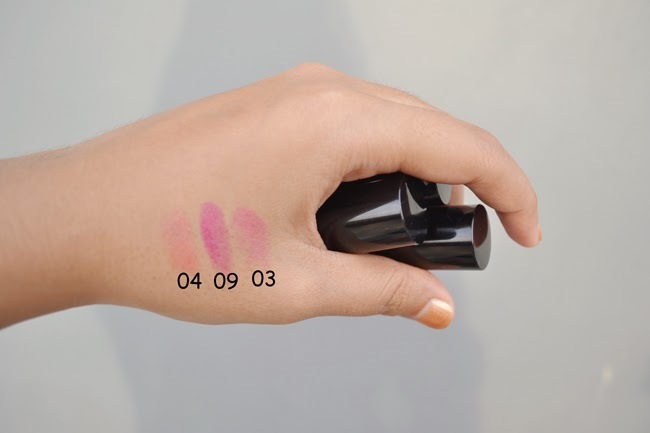 (+) : The lipsticks are cheap and worth to buy if you don't want to buy the expensive one, cost idr 22.000-50.000. (+) Suitable for events at night. (+) The 09 Sugar Plum is pretty for outfit shoot, had a firm and charming color. (-) : Different color shown, it's glossy. I prefer a matte lipstick. (-) : Not very long lasting based on glossy material. 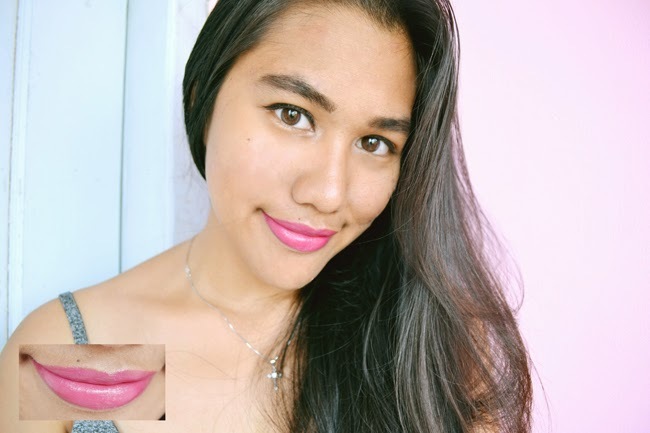 Next on the beauty page, Wet & Wild Megalast Lipstick Review!